The Strada SLX uses NOS (New Old Stock) Columbus SLX tubing to create a traditional look, beautifully executed with the demanding precision of every Ellis. It can be built to accommodate any modern grouppo. In fact, the first Strada SLX features internally-wired Ultegra Di2! 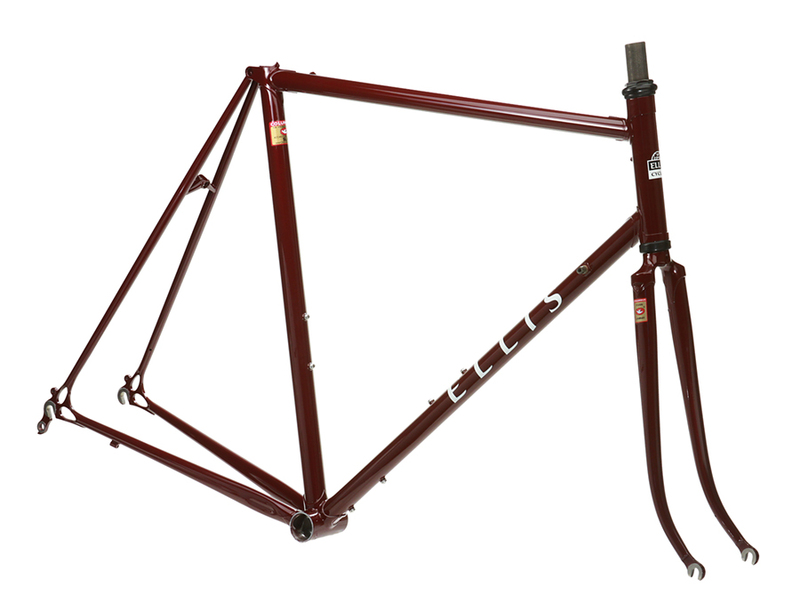 A great choice for a L'Eroica bike! Complete custom builds are available and help to ensure all parts and gruppos integrate perfectly. I wanted to give you more feedback after getting in about 100 miles or so. First, the bike fit is perfect.... On rough road and ruts, the bike is very smooth...your fork combined with the frame geometry is a perfect match. The bike is light, surprisingly so to me since I’m no small dude. It truly is a great combination of weight, stiffness, and comfort. 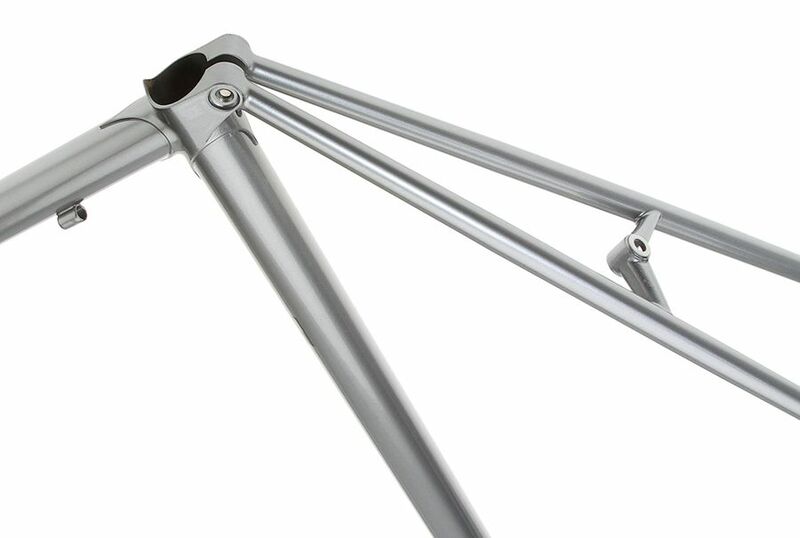 I mate the Columbus SLX tubing with modern investment cast lugs and my signature Ellis dropouts. 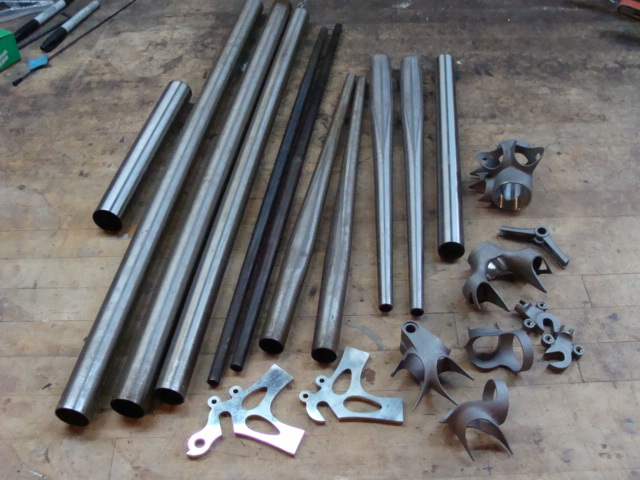 My dropouts are cut from 17/4 stainless steel. I can easily add an extension to the upper head lug for proper rider positioning. I add a stainless washer on all painted fork crowns to minimize paint chipping. Gerry chose my Domestique Burgundy with white decals. Marco upgraded to my Campionissimo paint and matched it with a 25th anniversary Shimano Dura Ace group.